Camping is a unique opportunity to experience God’s creation and the beauty of the environment that most of us don’t see every day. More importantly it affords the opportunity to build relationships with family and make new friends without the distractions of the world. Leave business and social media at home. Instead, relax, reflect, and wear the same clothes for three days. Build a fire with the kids and burn marshmallows. Go for a hike. Take a nap. Go fishing and teach the kids how to put a worm on a hook. Camping is a special time to just BE and not worry about what to DO. 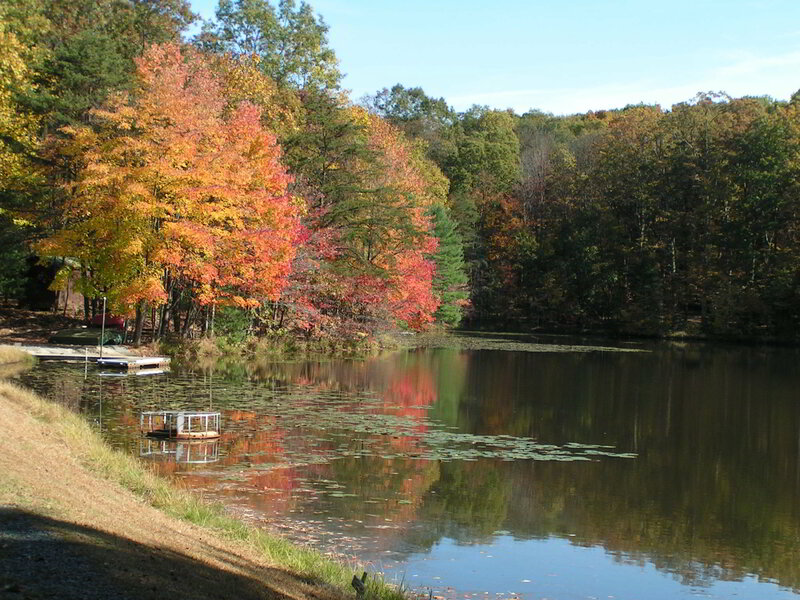 Learn more about campground on the Lake Heron web site. 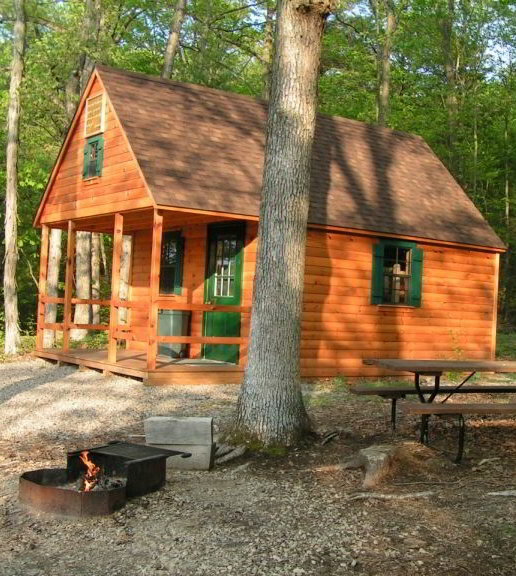 Our facilities include a pavilion, two cabins, 9 RV sites with water and electric, hiking trails, and several areas for tent camping. A small "Comfort Station" (with two showers and two toilets) was added recently. 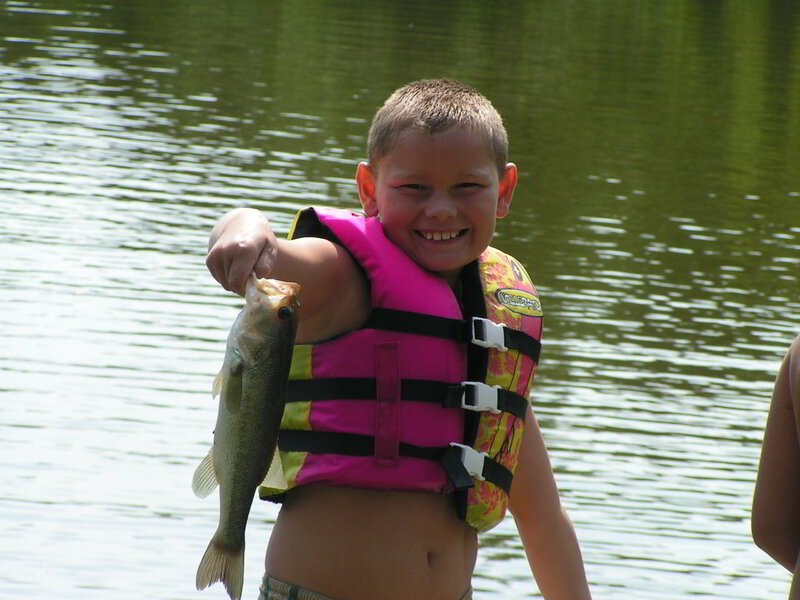 A 10 acre lake offers swimming, fishing, and boating fun. The lake is stocked with Largemouth Bass, Channel Catfish, and Bluegills. 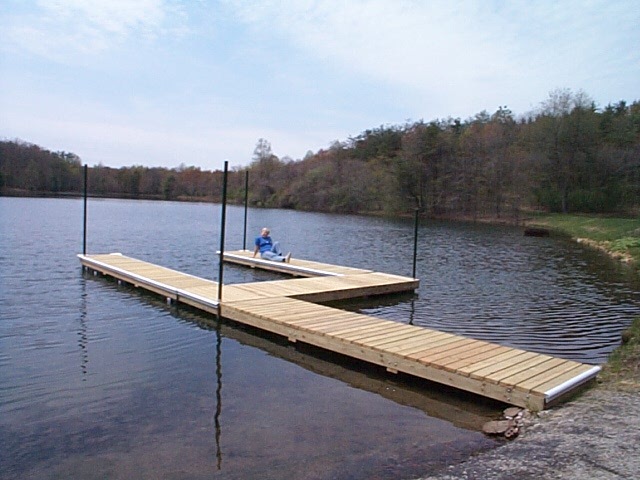 Docks and a floating swim platform, boats, canoes, and paddleboats are available. 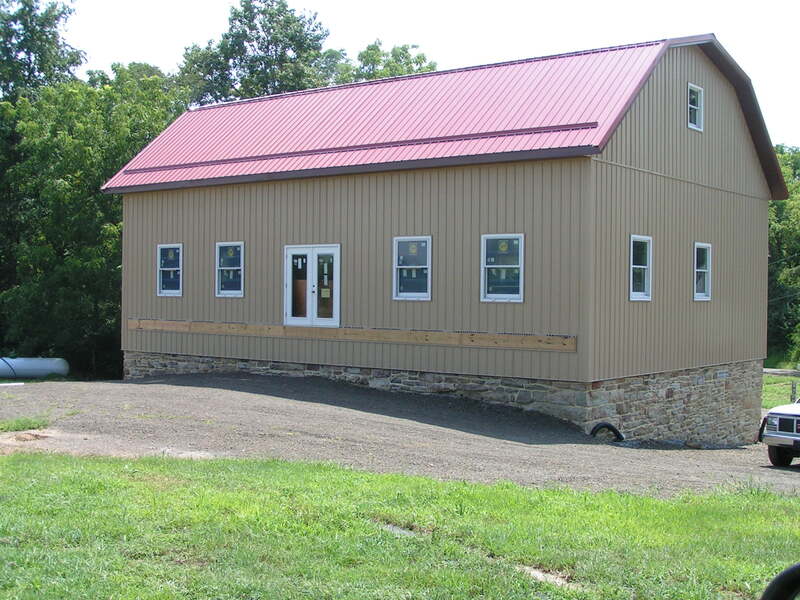 Dean began construction of "The Barn" in 2014, which will serve as a multi-purpose building. It will be used as a dining area with a kitchen, a meeting room, and/or an activities room. 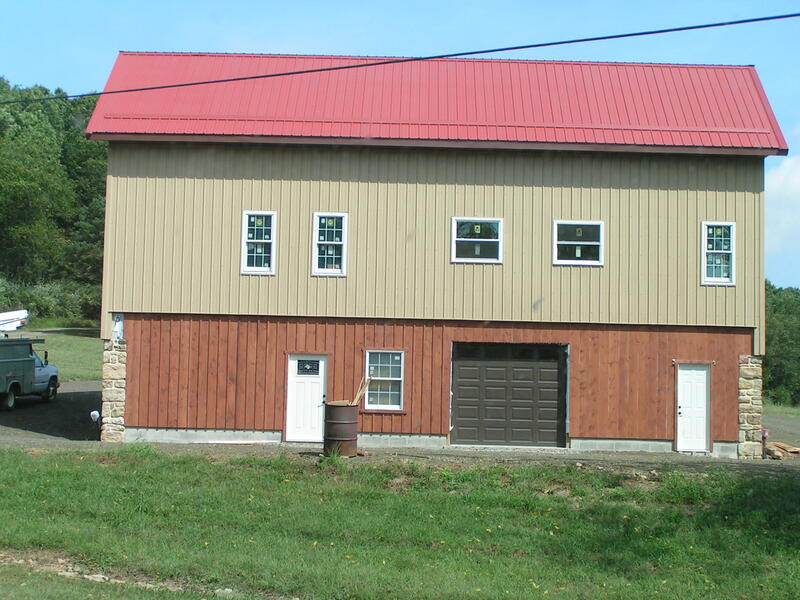 The exterior of The Barn is complete, but the interior was not finished before he died in 2017. 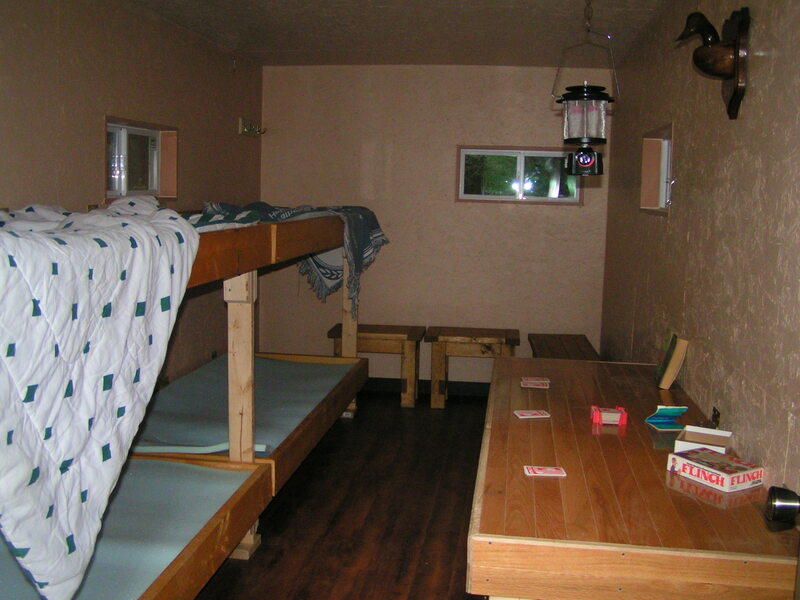 We host many families throughout the summer months at the campground. Also, we've had groups of scouts and day camps for children from the Milton Hershey School. Dean and Gail Stephens bought the 240 acre property with the 10 acre lake in 1987 and knew it would be a beautiful area to develop for camping. They worked together for over 20 years to build it to what it is today. 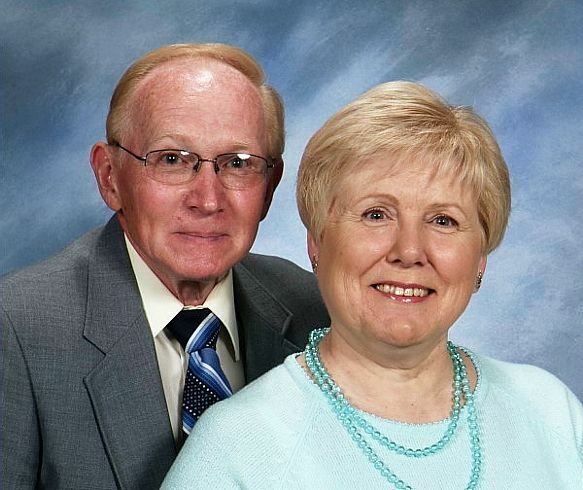 Dean and Gail's desire is to ensure good stewardship of the property that God entrusted to them. Dean said, "It is just as important to God how we distribute what is left of His property when we die as it is how we managed it while we were alive." Their objective is to give Him a good return on His investment during the years they managed it. The Lake Heron Conservancy, a 501(c)(3) not-for-profit foundation, is fulfilling Dean and Gail’s legacy by preserving the Lake Heron property and continuing the Christian ministry. Dean and Gail dreamed big. While they owned the property, they made extensive improvements, but wanted to expand the ministry in a big way! The Lake Heron Conservancy was established in late 2017 to do just that. A lot of ideas were evaluated and developed in 2018, and we anticipate 2019 will be a big year for growth and outreach. 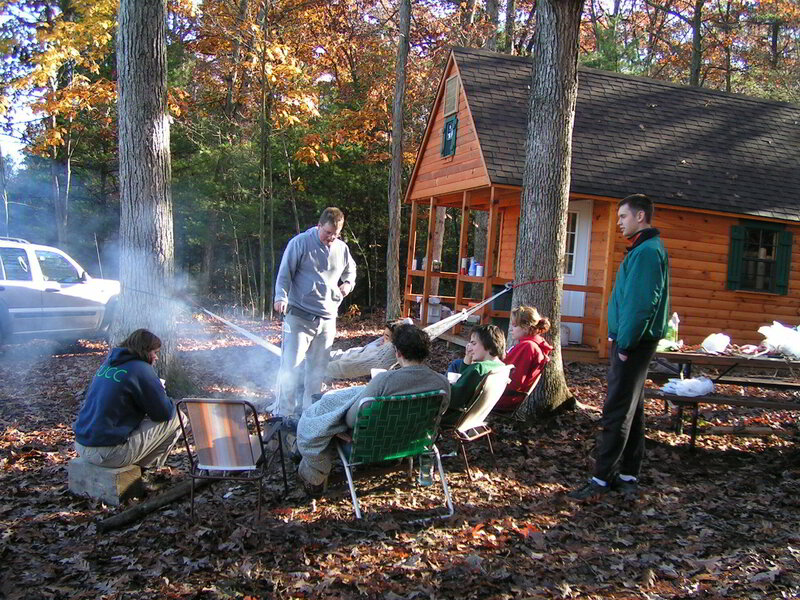 Transfer the lake property to LHC ownership and management, which creates a Christian camping ministry and conserves the lake and property in perpetuity. Taxes, utilities, and property management become responsibilities of LHC, so fundraising and partnership opportunities are key. Update the campground reservation management from the current time-consuming manual method to a semi-automated online reservation and payment system. This will free up volunteer's time for better serving the LHC mission. Guests will be able to see which sites are available and then select specific campsite(s) and boat(s). Existing reservations can be self-managed, too. Campers can "check in" on the day of arrival, which will provide information for any reserved equipment. Add-ons like a bundle of firewood can be added to your account during your stay, making payment much easier. Design and install a wastewater treatment system to service "The Barn", RV campsites, and future cabins along Cree Road and the activities field. Complete the interior of "The Barn", and add a large deck in the front. This will provide a dining room, kitchen, meeting room, activities room, and deck. Install a small playground area, with a wooden swingset and a balance course. Construct a simple outdoor chapel, for weekly services. 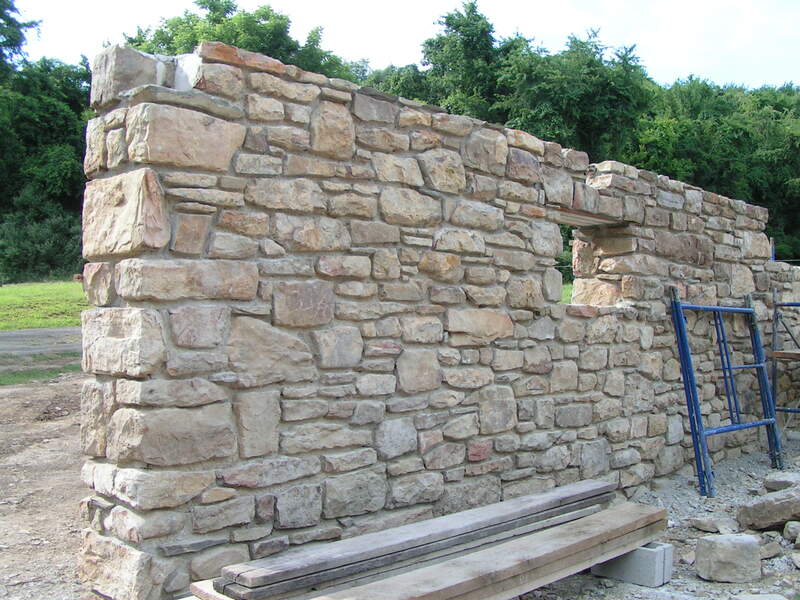 Cost is negligible, but we need volunteers to help with the construction. Grow relationships with local churches by inviting them to utilize Lake Heron Retreat for youth events and church picnics. Let us know if your church is interested in holding a pot-luck for its memebers/guests this summer. Install upgrades to the Lake Heron Dam, as required by Pennsylvania Department of Environmental Protection. A lot of effort (and expense) went into updating the dam survey and engineering drawings, which will allow for future modification and maintenance. 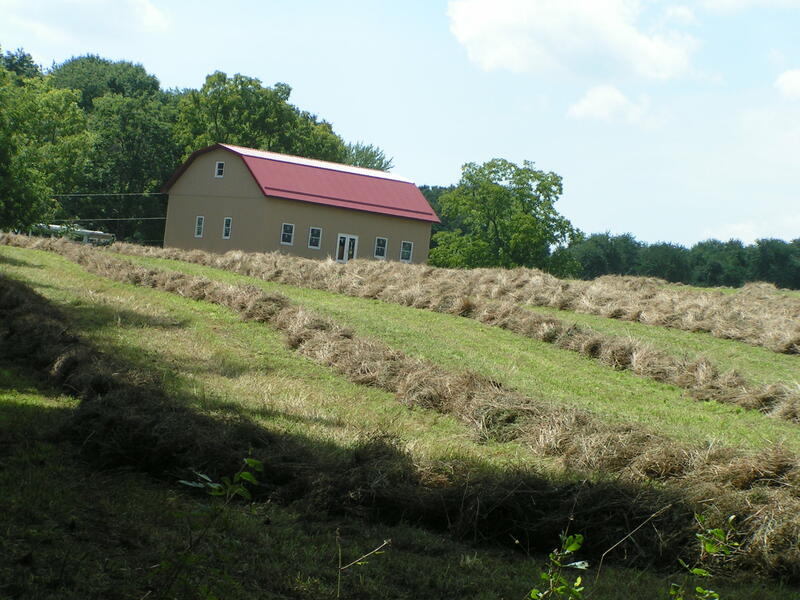 Historically, the property was a working farm. 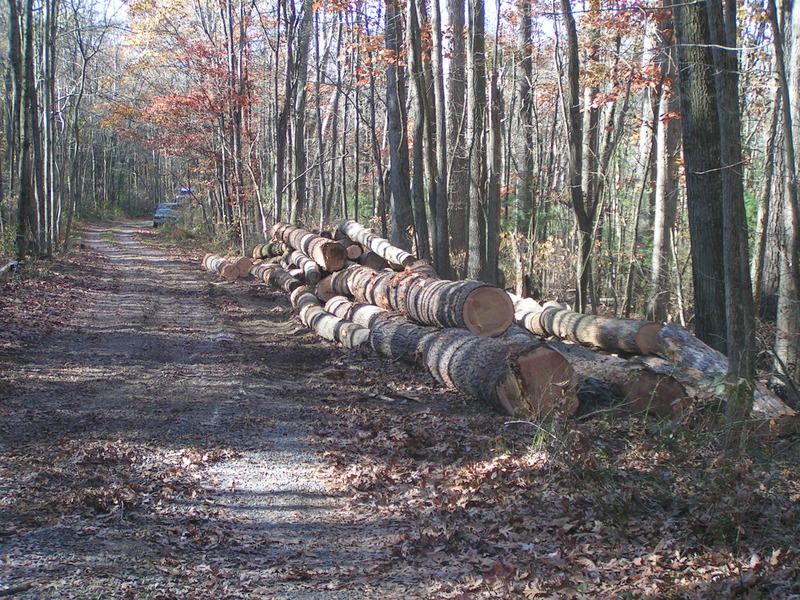 The property was selectively timbered in 2016, harvesting the larger trees and thinning accessible areas to allow for diverse growth. 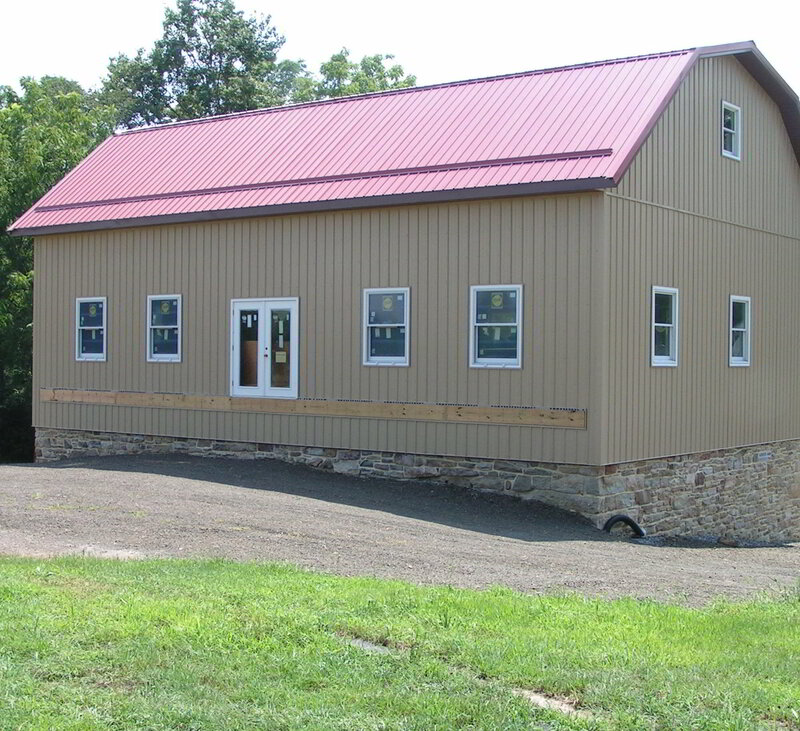 The Barn's exterior was completed in 2016. Construction was put on hold in 2017 when health and family were prioritized. 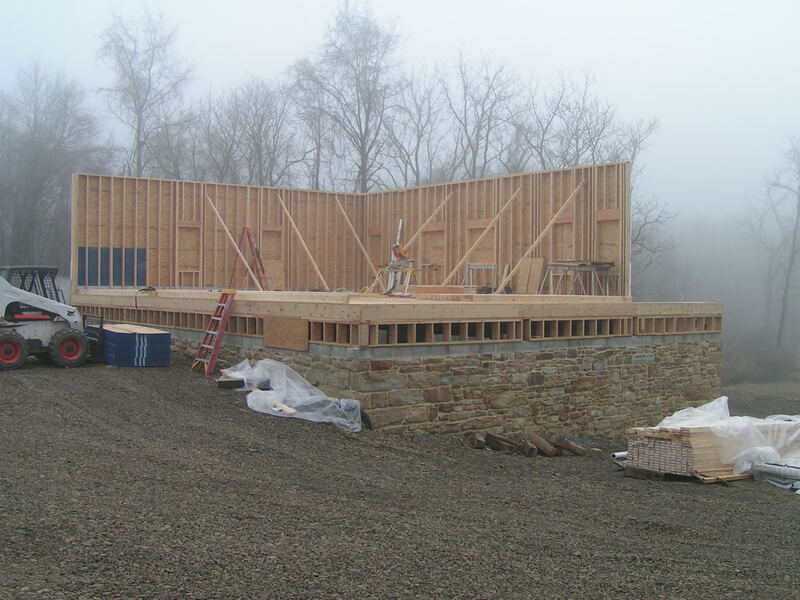 With a roof in place, The Barn takes shape. 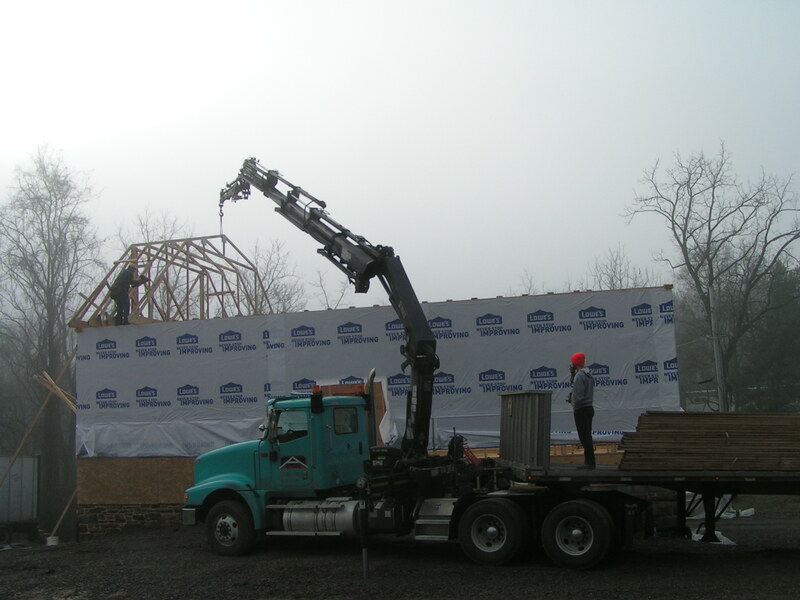 Teamwork is exemplified as the walls are raised for The Barn. 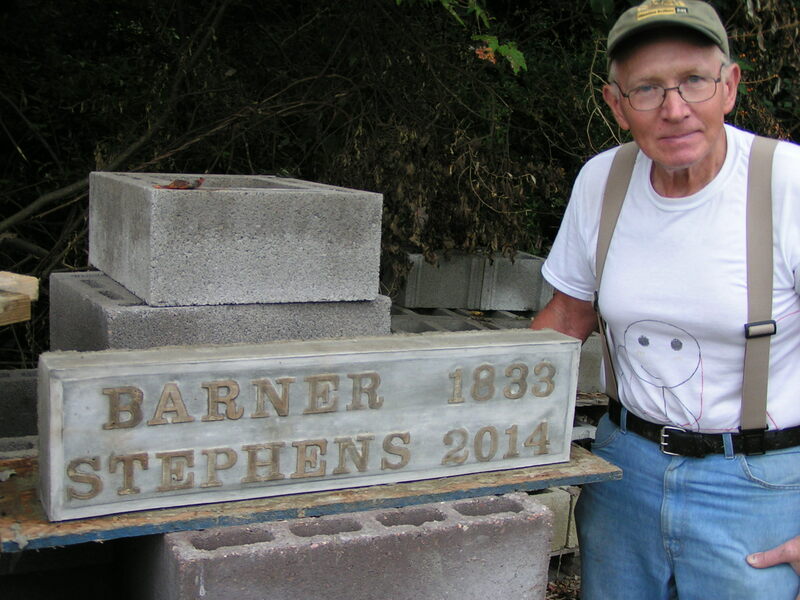 The stones from the original barn were used to lay in a new foundation for The Barn in 2014. A second cabin was constructed in 2012. 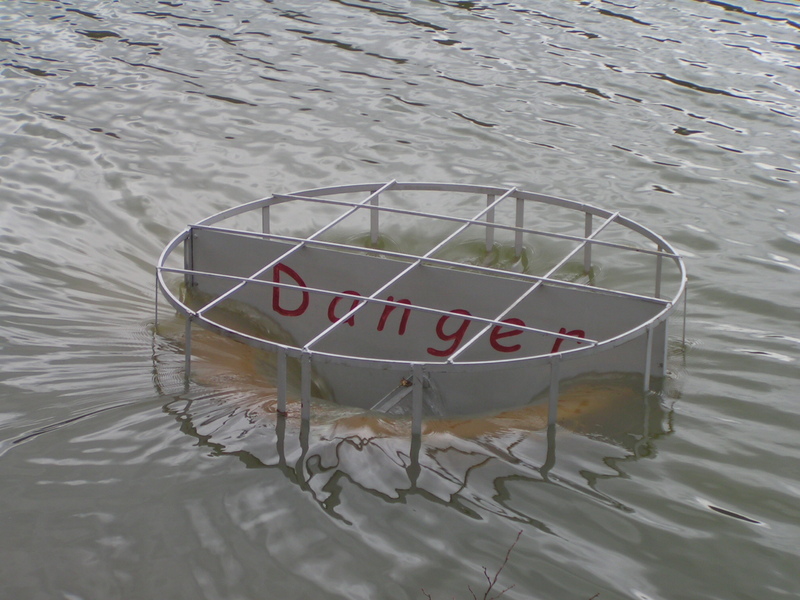 The overflow at Lake Heron roars when water is high after storms. In extreme weather, the emergency spillway routes water around the dam. An operating barn was on the site until the roof collapsed from snow load. 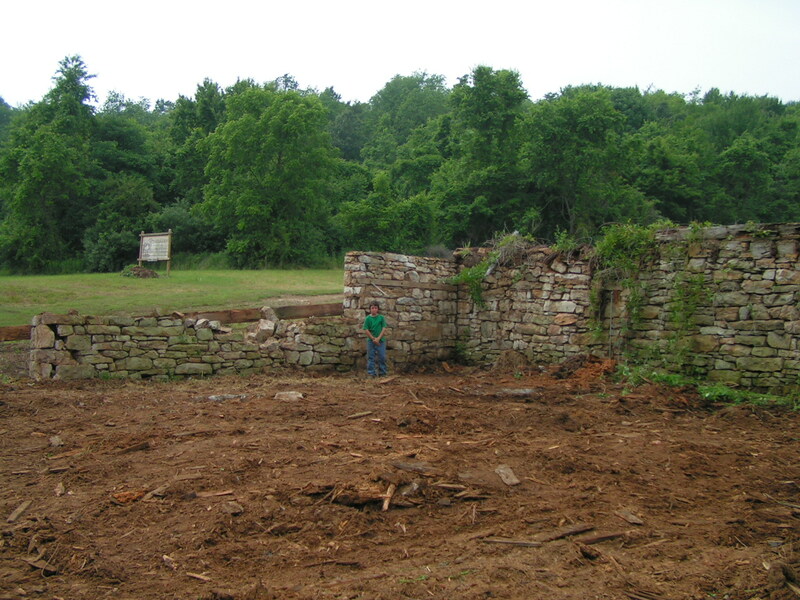 Debris was cleared away from the original foundation in 2006. 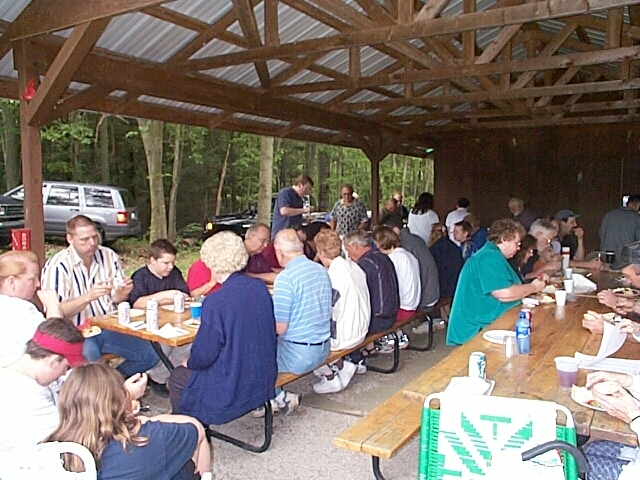 The pavilion is popular for holding group events like reunions and parties. There are three docks on Lake Heron. You are improving your community and safeguarding the environment. The Lake Heron Conservancy seeks partnerships with churches, youth organizations, service groups, businesses, and individuals to realize its vision. Please contact us to introduce yourself and your organization. © Lake Heron Conservancy, Liverpool, PA. All rights reserved. 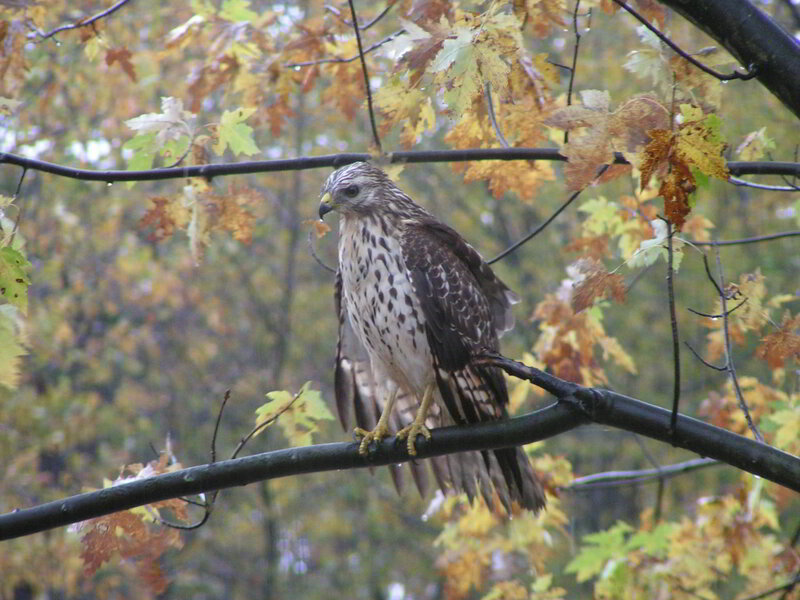 Contact us by phone at (929) Go-Heron (929-46-43766), or by email at conservancy@lakeheron.com.